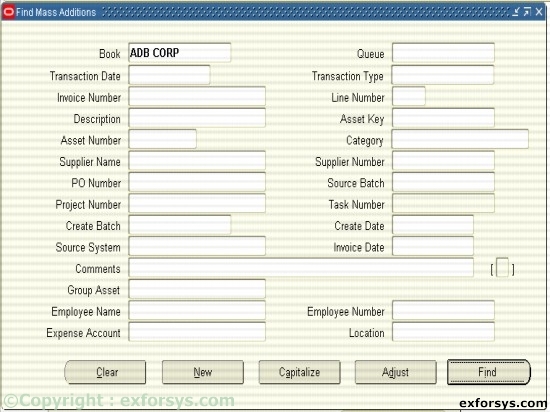 In this tutorial you will learn about Mass Additions – The Mass Addition Process, Create Mass Additions, Prepare Mass Additions, Post Mass Additions and Delete Mass Additions. 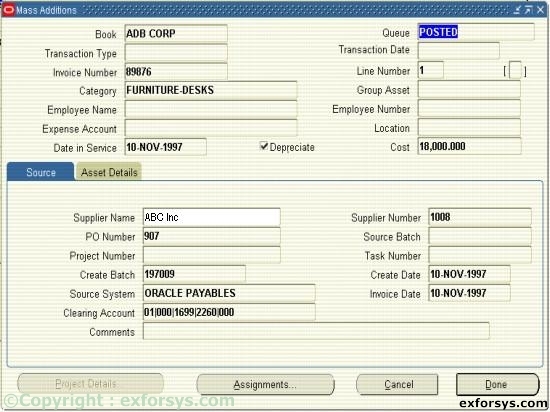 Step 1 Create Mass Additions : Run Mass Additions Create from Oracle Payables to copy invoice distribution lines representing potential assets into the FA_MASS_ADDITIONS interface table in Oracle Assets. Figure 1. Run the Mass Additions Create program. 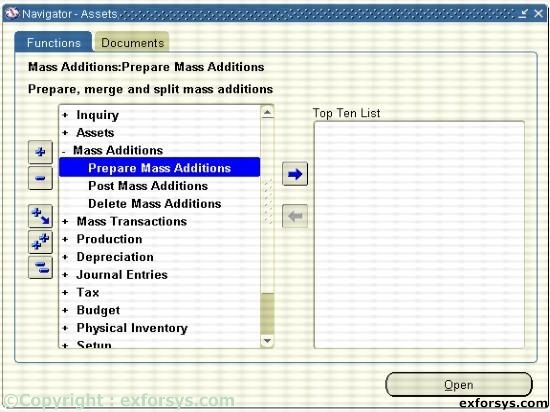 Step 2 Prepare Mass Additions : Use Prepare Mass Additions to enter additional data for a mass addition; add a mass addition to an existing asset as a cost adjustment; split a multiple-unit mass addition; or merge mass additions to combine several mass addition lines. Figure 2. Navigate to Prepare Mass Additions. Figure 3(c). Prepare Mass Additions. Step 3 Post Mass Additions : Run Post Mass Additions to create assets and cost adjustments from mass addition lines. 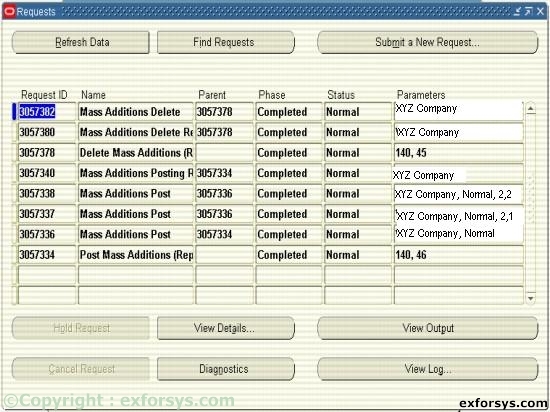 This process imports information from FA_MASS_ADDITIONS table into several other Oracle Assets tables. Figure 4(b). Posting Mass Additions. 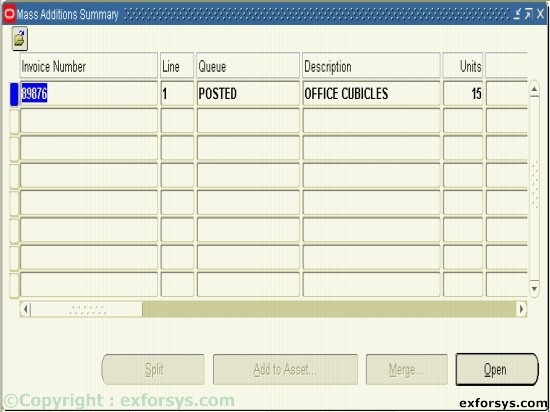 Step 4 Delete Mass Additions : Run Delete Mass Additions to remove mass addition lines from the FA_MASS_ADDITIONS interface table.